When it comes to design and planning, Gillier Drainage is unmatched in equipment and software. We use advanced technologies including Trimble GPS systems and various mapping tools and software. We collect every piece of data we can on every site for mapping and design purposes. Every field or property we tile is examined in its entirety using this GPS technology so we can identify elevations, contours, depths and obstacles we will encounter along the way. Once all field data has been accumulated, it is then entered into our database for processing and planning. From here we can provide our customers with highly detailed maps and tile drainage designs based on their specifications. Above all, when we tackle any job, our aim is to ensure maximum preparation before any excavation takes place. This results in faster work production and highly satisfied customers! 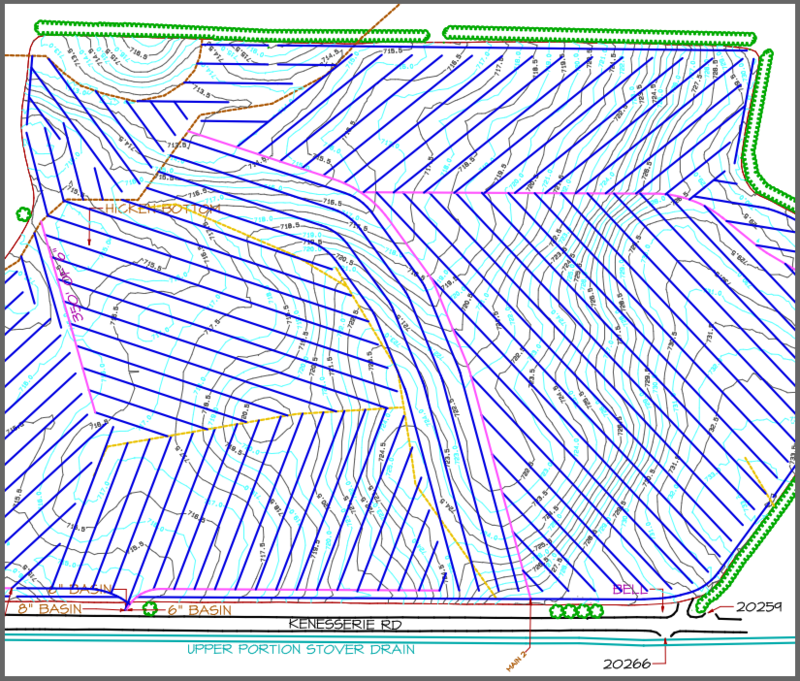 We can offer topographical data collection for any site! If you would like a quote on our GPS services, feel free to contact us via e-mail at any time!